Established over ten years ago, Maximum Security an Irish owned company is one of the leading providers of domestic and commercial security and monitoring systems in the Greater Dublin Area. We have been audited by the National Standards Authority of Ireland and have been awarded the Irish Standard Mark for Intruder Alarms I.S. EN 50131-1:1997 certification. We have also received a Private Security Authority Licence, which is a legal requirement for all Intruder Alarm Companies from 1st April 2006 under the Private Security Services Act 2004. At Maximum Security we have been serving our clients for over a decades and it is this long term commitment to our clients’ and our detail to personal service and the needs of our clients that make us different. Maximum Security can help you manage the security of your home or commercial property using a cost-effective Intruder alarm or an Intruder Detection System with great customer service and responsiveness. 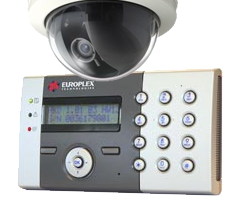 No matter how large or small your property or premise is, we will help you design and install a customized security system that will meet your criteria.